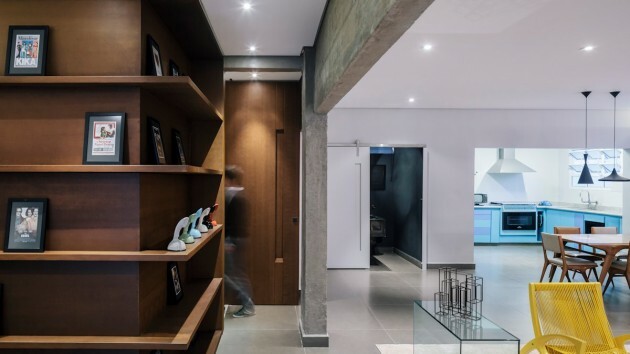 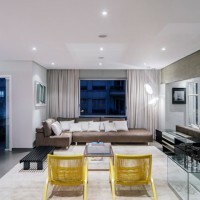 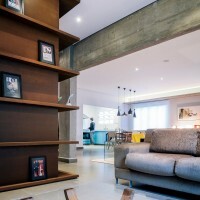 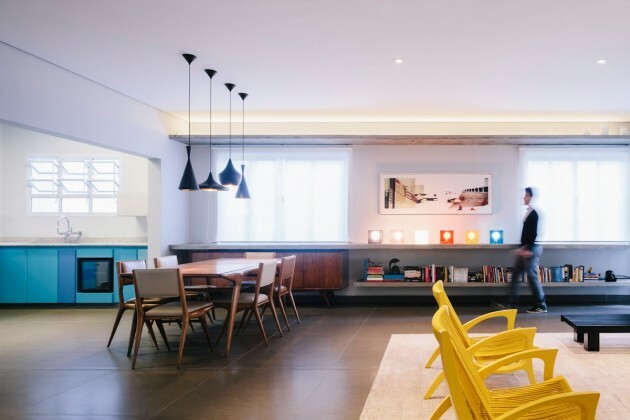 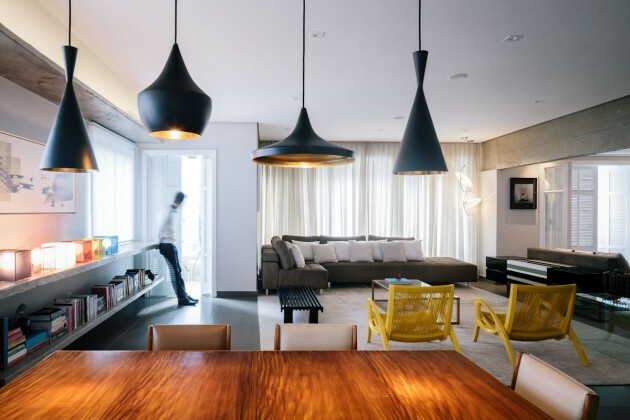 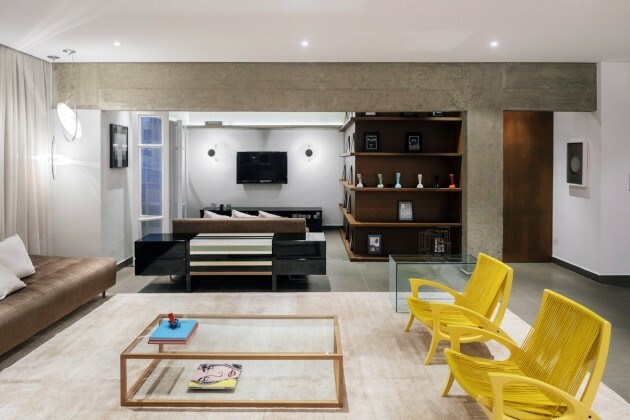 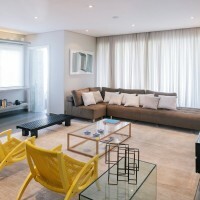 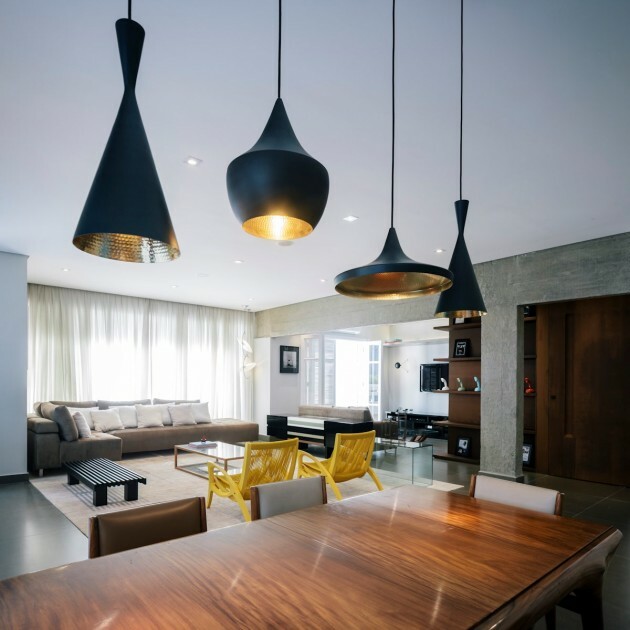 Architect Flavio Castro has completed the renovation of an apartment in São Paulo, Brazil. 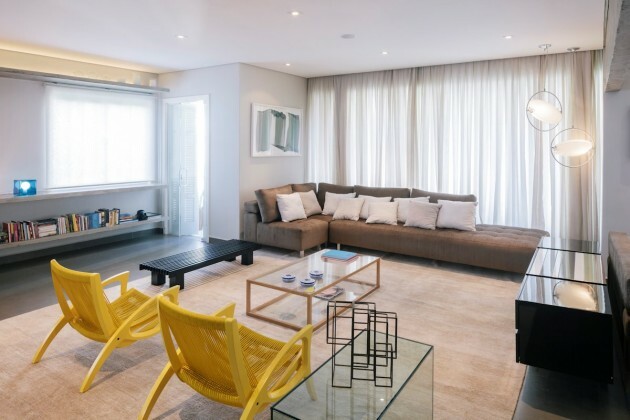 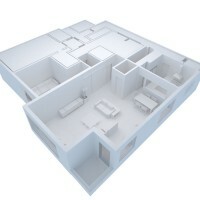 The biggest challenge was the conversion of a family apartment compartmented into an apartment for a young single advertiser, and retrofitting existing securities repaginating brought from other apartment. The meticulous work respected the memories impregnated in certain parts and introduced new elements from the new intentions. 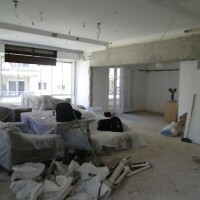 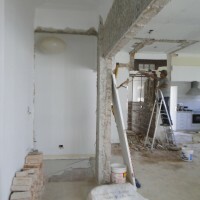 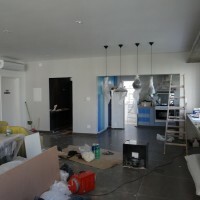 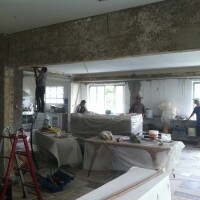 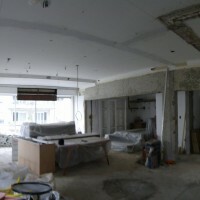 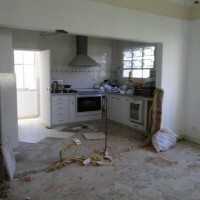 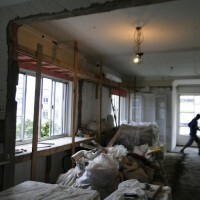 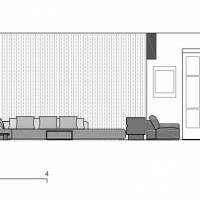 The living room, tv room and kitchen have become part of a single space through the demolition of walls and removal of the toilet. 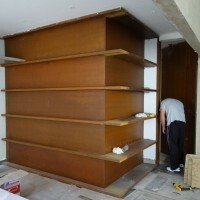 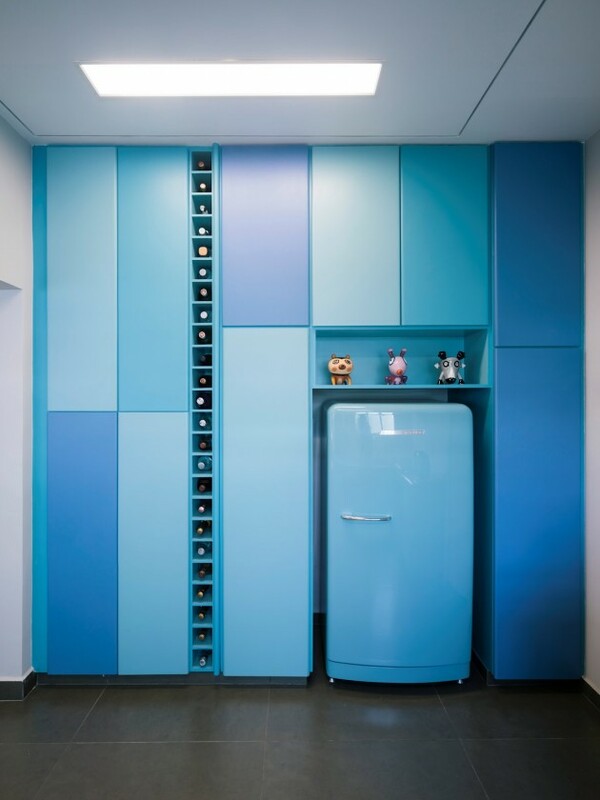 Shelves specifically emphasize the horizontality of the space and serve as a shield for design pieces. 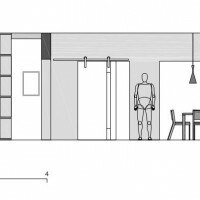 A large gallery Corten steel is the element delimiter between social and intimate, camouflaging access that is done through a pivoting door. 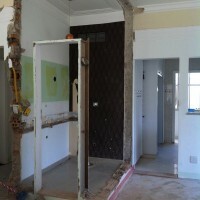 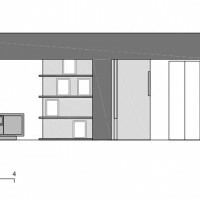 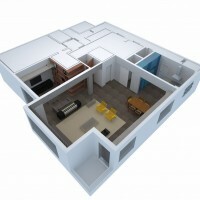 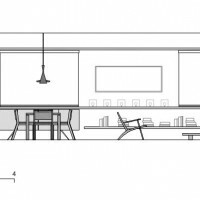 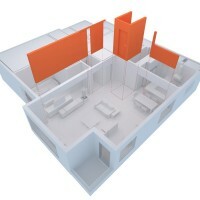 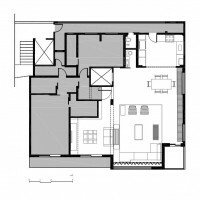 The original structure was exposed and the materials are shown with sincerity. 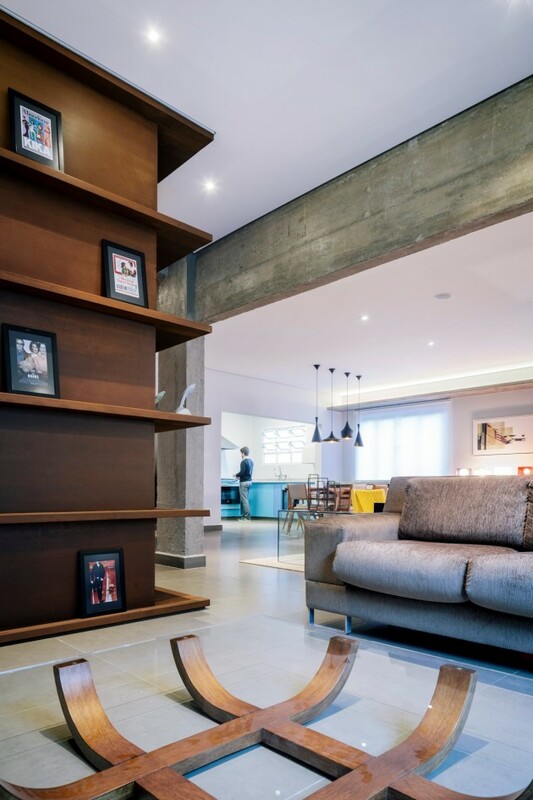 The concrete, glass and steel corten combine a sober color palette and contrast with some pieces that give identity to the flexible space.